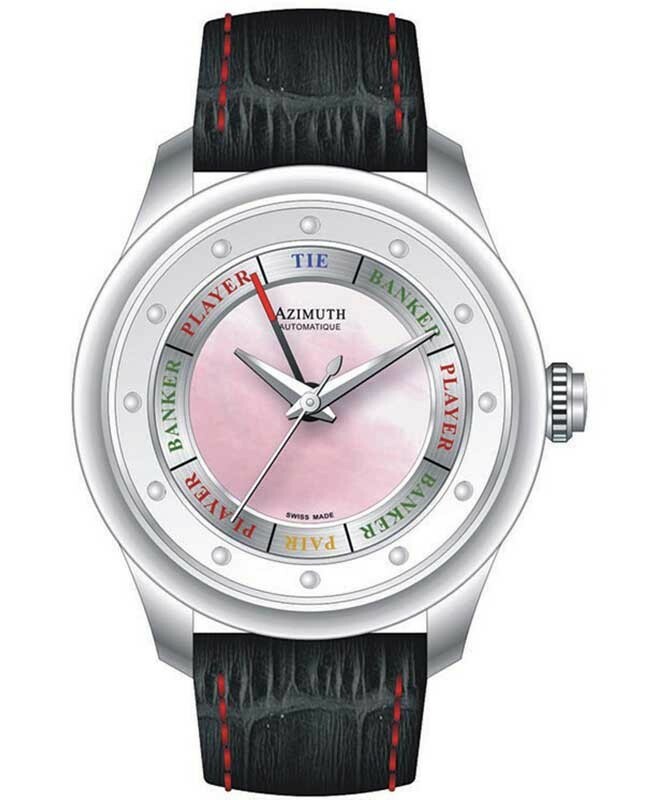 The Round-1 Grand Baccarat is an exceptionally stylish and elegant watch. Dimensionally the timepiece measures 38mm x 11mm and is designed for the unisex market. 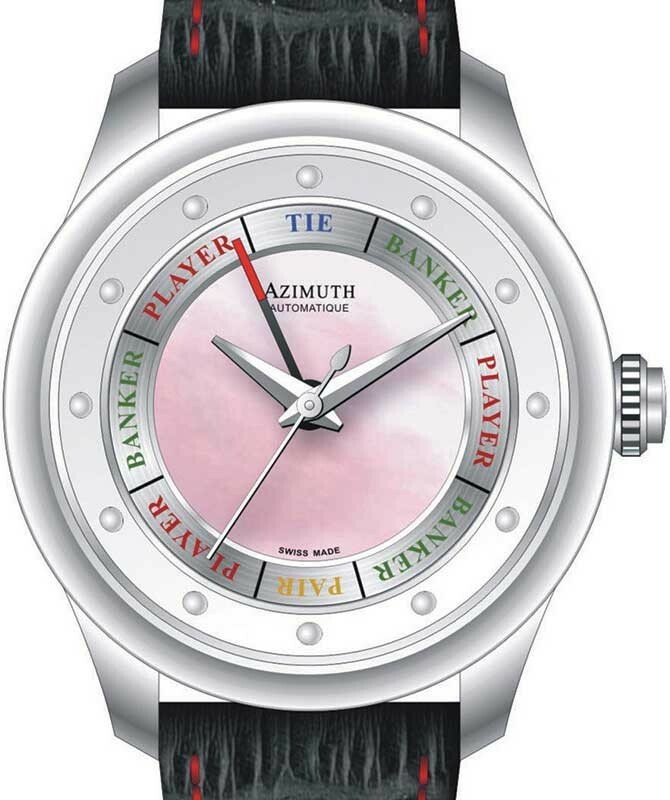 What makes this watch so amazing is the ability (at the push of a button) to play a game of Baccarat. This feature adds an injection of fun into an otherwise very sophisticated watch. 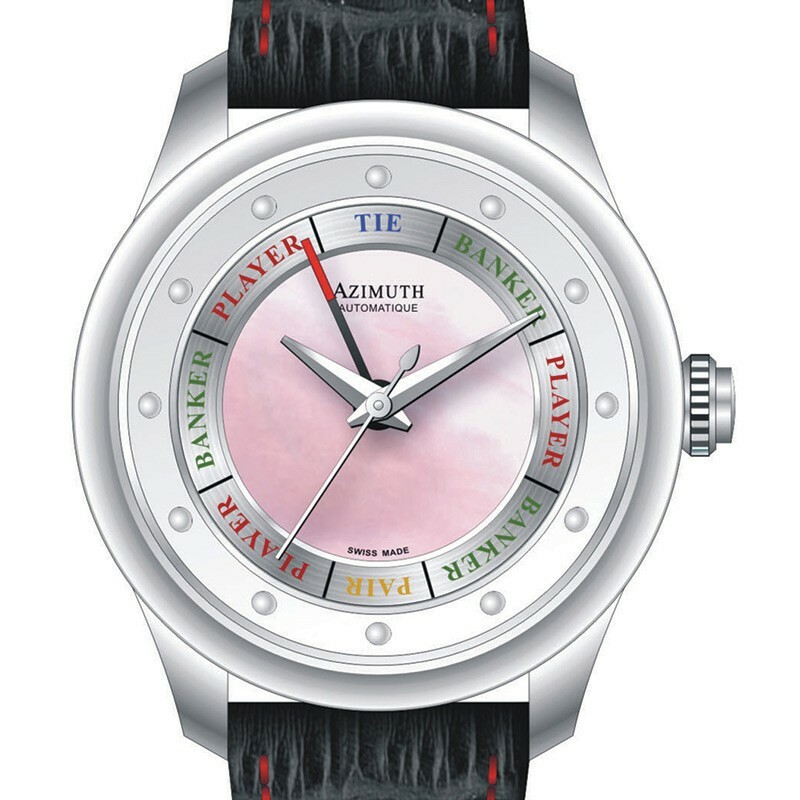 Other details include a beautiful mother of pearl dial and delicate stainless steel hands. At the heart of the watch is a Swiss made self-winding modified ETA 2824-2 movement. This caliber comprises 25-jewels and oscillates at a frequency of 28,800 vibrations per hour (4Hz).